Jan Koum, CEO of popular messaging app WhatsApp, leaves parent company Facebook and also steps down from Facebook’s board of directors. As Jan Koum disagree with Facebook’s policy on data privacy. Jan Koum in 2014 sold WhatsApp to Facebook for a stupefying $19 Billion. At the time this deal took place, Facebook guaranteed that WhatsApp will be ad free and the data will not be merged with Facebook’s. Same was assured to regulators in Europe, where WhatsApp is most used. Know More : Blocked on WhatsApp? Check It ! WhatsApp user count jumped to 1.5 billion just after getting acquired by Facebook, triple than what it was before. But, just after a year, Facebook asked WhatsApp to change its terms of services, also asked to give users’ phone numbers to them. This will allow Facebook to target users’ with more precise advertisements depending on their interests and likes. In 2017, Facebook was also fined small amount of $122 Million by the European Union for disclosing the deal between them. As a result, Koum has now confirmed that he is leaving Facebook, but didn’t stated the reason. “It’s been almost a decade since Brian and I started WhatsApp, and it’s been an amazing journey with some of the best people. But it is time for me to move on. I’ve been blessed to work with such an incredibly small team and see how a crazy amount of focus can produce an app used by so many people all over the world. WHAT COULD BE THE FUTURE OF WHATSAPP? After all that has happened, WhatsApp will now fully be under Facebook. Privacy and Terms could now be changed, and if possible, we can also expect ads on WhatsApp this time. Hope it stays the same, and doesn’t runs ads and subscriptions. This was the major loss for Facebook. It turns out that Facebook is not having a great time this year so far. Google announced collaboration with Fitbit to fast-track Digital Health and Wearables. As Fitbit has chosen Google Cloud as the cloud provider and will use Google’s Cloud Healthcare API, which was updated recently, to provide and interoperability solution that will boost the ability of computer systems or software to exchange and make use of information. Also, will allow their users to collaborate with their own healthcare provider. WHAT ARE THEY BOTH GETTING AT? The goal of both the organizations is to reach out user’s at large scale to help them manage their healthcare including hospitals and doctors. The goal is similar to what Google is doing since it came into existence, which is to organize the information and make it available for all the universal users’. This will help users to connect with their respective healthcare providers, and when needed all the providers can easily and securely connect to each other for your health and care. 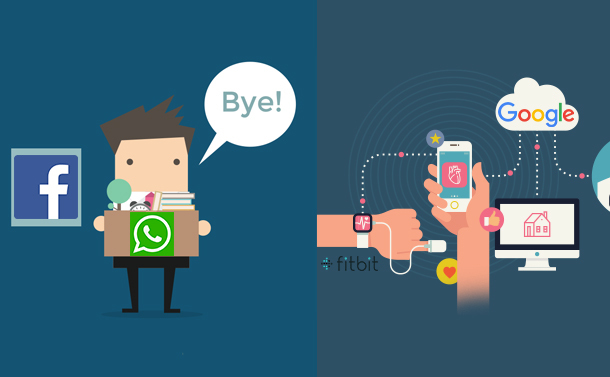 WHAT GOOGLE AND FITBIT HAVE TO SAY? “Although we’re just getting started in this collaboration, we’re excited by what’s possible. To date, Fitbit has sold more than 76 million devices, built a community of more than 25 million active users and has one of the world’s largest health and fitness databases. We hope that by helping them take advantage of our highly secure platform and support for open standards, we can bring better health to more people around the world”. Long Awaited Windows 10 Update Is Finally Here!